Have breakfast and go to ORTPN offices for briefing after that set off in the forest for Gorilla trekking. A thrilling trek through the refined foothills of the Virungas provides inspiring views in all directions. Then, suddenly, the trail enters the national park, engrossing trekkers in the strange closeness of the rainforest, alive with the calls of colorful birds and chattering of the rare golden monkey, and besieged with fresh spoor of the mountains’ elusive populations of buffalo and elephant. Through gaps in the forest canopy, the marvelous peaks are sighted, easily easy to get to and among the uppermost in Africa, indicating an ascent. 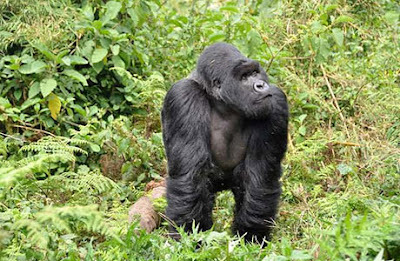 Gorilla trekking is quite strenuous but a worthwhile on encounter of these gentle giants. The enthusiasm of your coming across with these apes will wipe away your intricacy of the strenuous trek. Spend time watching gorillas, watch the adults feeding their young ones, brushing and resting as the youngsters play from vines in a pleasurably playful display. After drive back to the Hotel for lunch, drive back to Kigali and transfer at Airport for your flight. Included : all tour activities as indicated above – gorilla permits, accommodation in hotels (with breakfast, lunch and dinner included), sightseeing as noted in the trip itinerary, park fees, entry fees, ground transportation, bottled mineral water. Excluded : Tips for drivers and other staff, bank charges involved, flight tickets and departure taxes, travel documentation (visas), travel and medical insurance, optional excursion, beverages other than mineral water in the vehicle, Meals not indicated on your detailed itinerary.